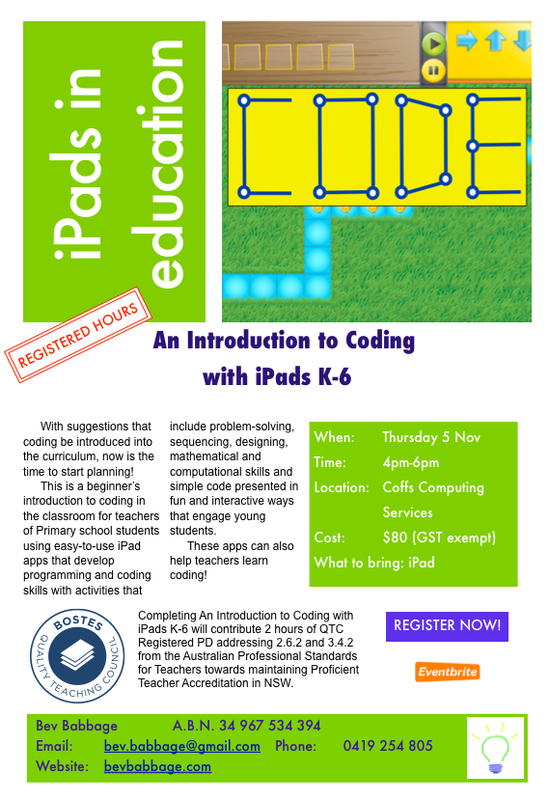 Registration is now open for An Introduction to Coding with iPads K-6 in Coffs Harbour on Thursday 5 November. This will suit teachers who are beginners to the concept of coding and would like to learn engaging apps that can be used in the classroom to teach students this 21st Century skill. Course is a short 2 hour course (BOSTES registered hours) after school. A new TTA course also added for November as the August course almost full. There are still spots available in the Coffs Harbour courses for September.